If you have been waiting to buy, this is your sign that now is the time! Grab this great home while you can still get up to $15,000 in Florida Bond first-time/re-entry buyer's assistance. This newly renovated home sits on a full acre of land. 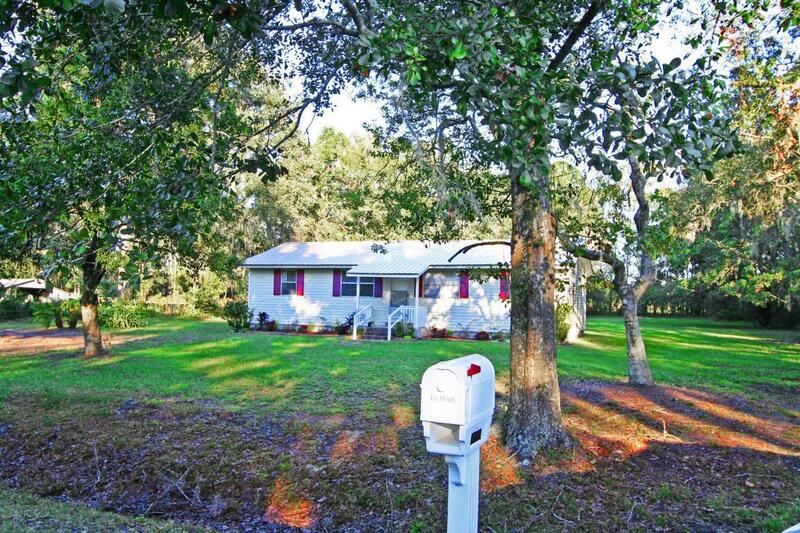 Enjoy quiet country living with no association fees while still being just minutes from I-295 for your commute. The home has tile floors throughout, a split floor plan with 4 bedrooms, 2 updated full bathrooms, indoor laundry/utility room and an enclosed porch. Extensive repairs just completed which includes a new hot water heater and new metal roof. Plus seller will pay up to $500 for buyer's home warranty! Recent Survey on file.